ST.PETERSBURG, June 1. /TASS/. India’s full-fledged accession to the Shanghai Cooperation Organization (SCO) will take place in a week and Moscow has always supported this decision, Russian President Vladimir Putin stressed on Thursday. 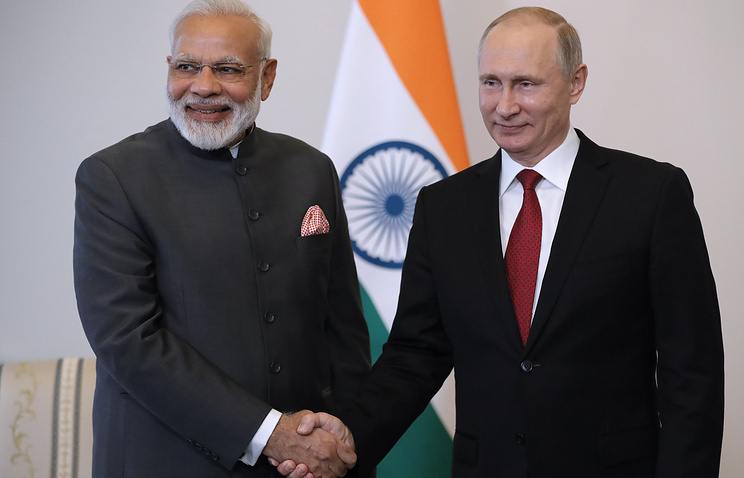 "In a week, we will formalize India’s full-fledged accession to the SCO," Putin said at the meeting with Indian Prime Minister Narendra Modi. "This process began in 2015 in Russia’s Ufa. Russia has always backed this process and encouraged it." Putin noted that this year Russia and India mark the 70th anniversary since establishing diplomatic relations. "Many things have happened and changed over the past years, but the most important thing in the history of our bilateral relations remains - this is special trust-based relations between our countries and people," Putin said. The Russian leader noted that he was glad to meet with Modi and discuss a whole range of bilateral relations. Kremlin aide Yuri Ushakov said on Wednesday that India’s membership in the SCO will be formalized at the organization’s summit in Astana in early June. As the Kremlin aide said, the process of admitting India to the Shanghai Cooperation Organization was launched at the SCO summit in Ufa in 2015. 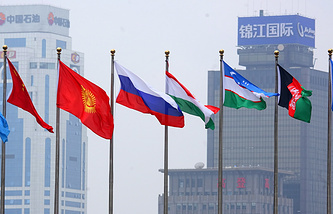 The SCO brings together Russia, China, Kazakhstan, Kyrgyzstan, Tajikistan and Uzbekistan.